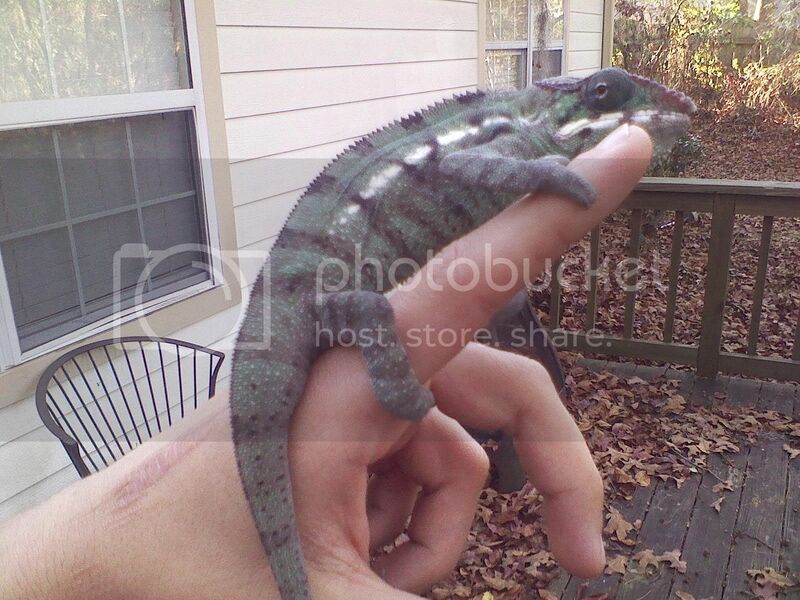 My chameleon is grabbing his own legs, what does this mean? I think he has joint problems but that's out of speculation. While climbing usually, his back legs grab his front legs causing him to get stuck and unbalanced. He's always doing it. The more active he is that day, the more he does it. It's to the point where he's scarring his own arms. I usually help him get them apart because he looks like he's struggling. I read that it might be an early form of MBD, called rickets, due to vitamin unbalances. I powder his crickets with Fluker's Calcium with Vitamin D3 - Phosphorus Free every time. Then once a month I give him Herptivite with Beta Carotene Multivitamin powder. He definitely has the correct lighting, so that can be ruled out. Is it something I'm doing wrong or could it be genetic? I don't know, but it's really worrying me. He's only 9 months old and I can't afford a vet bill right now. The usual supplimentation is calcium WITHOUT d3 and phosphorous everyday, calcium with d3 2x a month, and multivitamins 2x a month. Alright I'll go get that today. Is this a problem that can be fixed over time or what? If it is MBD it doesn't go away but it can be helped, you'll probably have to order the without d3 online, I have Miner-all O. 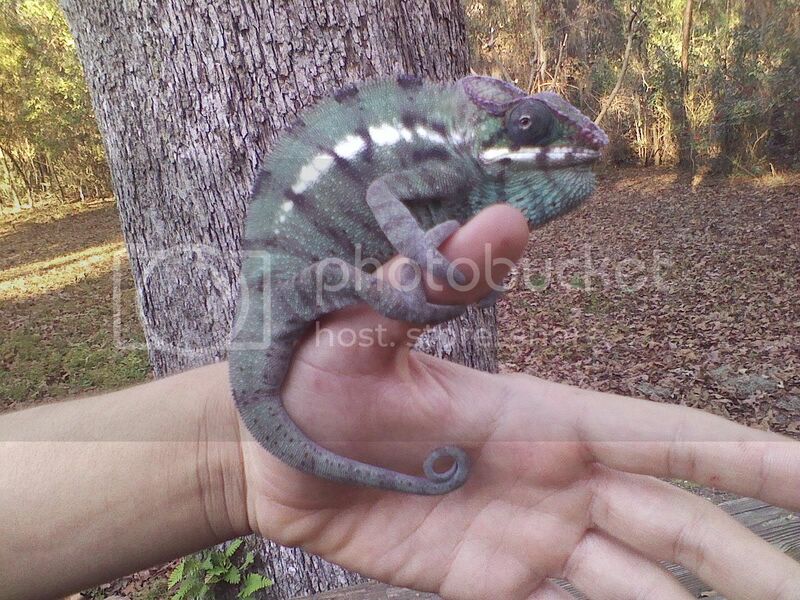 Can you post a picture of your cham please?from the sides too. showing the legs. The website also mentioned a possible lack of vitamin A, is this also covered? I don't know what to suggest honestly. Post pictures? He was a little stressed about getting his picture taken which is kind of weird. I took these just now. I dont see any bowing of the legs, which is good. How often has he been grabbing his legs? if it was once, its not a problem. if hes done it multiple times, it could be the start of mbd. you should be following the recommended supplement schedule of calcium without d3 every feeding, calcium with d3 twice a month, and a multivitamin twice a month. also, what are you gutloading his feeders with? and what types of feeders are you using? He does this a few times a day, he has scars on his arm where he grabs. Try not dusting his crickets at all for a few days , see if anything changes!. Won't hurt him to go without any dusting for 2-3 days while you figure things out. D3 every day is deff not a good idea. He looks perfectly healthy and fit from an external standpoint to me. you need to properly gutload those crickets. what your crickets eat, your cham eats, and if they arent fed the proper food, it can affect the chameleon. Find sandrachameleon's blog on gutloading and start doing that right away. as well as correcting your supplementing schedule. side note- you wont find calcium without d3 in a store, you have to order it online. if you want to make your life easier, you can order repashy calcium all in one which has everything he needs and you use on every feeding. I just started using the cricket cubes because the guy at PetSmart said it was better (hate those guys). I'll go back to the yellow gel and that brown calcium powder that I was using before. Is it alright that crickets are his only insect? Also, thanks JonRich for the article on D3 overdose, learned a few things about it. It's always better to offer him (or any Cham) a varity of feeders . But if you have to have a "staple" feeder Crickets would be it! I just ordered 1000 crickets (because this was the smallest amount i could order without paying a ton on shipping for less crickets. Tired of paying .15 cents /cricket locally). So for the past 2 weeks thats all they have been getting, i do not water my crickets, i do water down the Bug Burger that i gutload them with tho. I cleaned the bin today and only found about 10 dead crickets out of 1000 originally. So i guess they are not all dying of thirst. Ps: After these crickets are all done i'am switching to B.Dubia roaches. Going to expand my colony soon. Yeah they arent that oriented unless one of the petcare asociates OWNS a chameleon lol i also had trouble with the orange cubes... I had to take out 5 to 6 dead crickets a day. im supposed to remover the dead ones? im supposed to be getting out the dead ones how the heck im going to do that with the live ones in there? im new to ordering online but i just got bug burger its good stuff then? i wontt need to offer the dry flukers and the yellow water plus cal? Dear MyCham...I sympathize with you 100% I have a chameleon with exactly the same issue. So far the best weeks she's had have been when she receives NO D3 via nutrition. She still has her UVB light, and appears to be getting plenty of it that way. I have been doing 6 days with Ca without D (Repashy has one) and a multivit OR a Ca with D3 on Sundays, but my cham went back to leg grabbing. This week I'm stopping supplement of D3 ENTIRELY. And that is my suggestion to you. Let's get this problem solved for all of our sakes. ps - she was loosely diagnosed as MBD by a reptile savy vet, though she has no 'bowing' at all, no crookedness or breaks, and her radiograph was okay. She improved within days after removing D3. Her worst days she not only grabs her forelegs, but also grabs her flanks until they're all scraped up. Please please let me know how it goes!